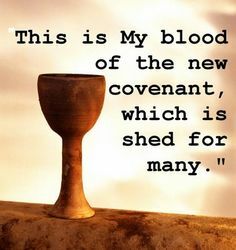 True Christianity is based on a person’s personal relationship with their Creator, God, through the shed Blood of God’s only begotten Son, Jesus. We can have this relationship because of the sacrifice of Jesus on the Cross of Calvary nearly 2000 years ago. It was a plan that was necessary because of the fall of Adam. Adam sinned and lost his dominion over God’s creation. The penalty for that sin was death, spiritual and physical. In the Garden of Eden Adam died spiritually and lost his personal relationship with God. God spared Adam from physical death because He loved them and desired that Adam and Eve should have descendants. Instead of killing Adam & Eve, God killed an animal and gave Adam and Eve the skin for clothing to hide their shame. The death of the animal was a temporary way of covering their shame and sin. Physical death was still the penalty for sin. The world needed a “second Adam”. One that would be tested and tempted with sin and die in the place of the first Adam and for all of his descendants. Shaking hands between two men is a custom that goes back to the days when men would show each other the scars of covenant relationships they had made. Many scars meant many covenants cut and many friends to come to his aid if in trouble or threatened by an enemy. Similar to the one above is the custom of lifting a hand in the air to wave hello. This falls back to the day when men would hold up their hand and arm to display their scars. To propose a “toast” at a wedding goes back to the 16th century when men would mix bread in with a cup of wine and pass it around for all to drink. This is another example of one of the steps in cutting a covenant, in covenant terms, it is called the Memorial Meal. In the Covenant concept of two becoming “one”, men used to believe that the third finger of the left hand carried a nerve that went directly to the heart which is symbolic of life. When you give your “heart” to someone you are giving your “all” to them. Hence a bride’s third finger of the left hand became the one to encircle with a band of gold. Some weddings will put out a red carpet for the bridal procession. This comes from the ritual of making a blood covenant by cutting animals in half, spreading them out on the ground for the two covenant partners to walk among in a figure-eight pattern while reciting the covenant oath. The walk was called “The Way of the Blood”, hence the red carpet for the bride and groom, signifying the covenant relationship they are entering into with each other. In Old Testament times there were 9 steps to “cut” a covenant. Sometimes only two or more were performed but the result was still the same binding relationship. To learn how the steps were done in the Old Testament and how we can relate to them today through the New Covenant we have through Jesus, click on the appropriate links below.